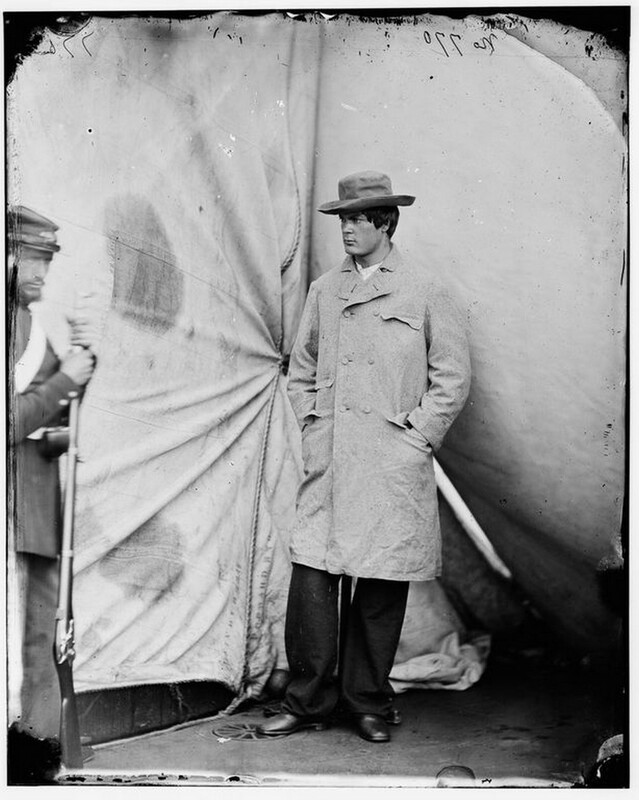 On the evening of April 14, 1865, while attending a special performance of the comedy, “Our American Cousin,” President Abraham Lincoln was shot. 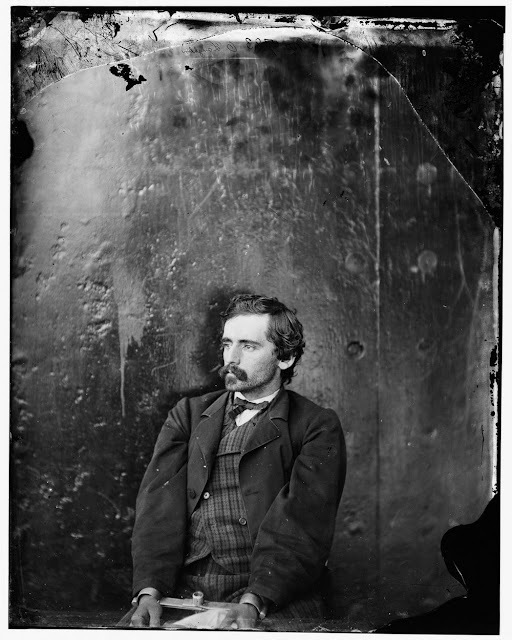 Accompanying him at Ford’s Theater that night were his wife, Mary Todd Lincoln, a twenty-eight year-old officer named Major Henry R. Rathbone, and Rathbone’s fiancee, Clara Harris. After the play was in progress, a figure with a drawn derringer pistol stepped into the presidential box, aimed, and fired. The president slumped forward. A doctor in the audience immediately went upstairs to the box. 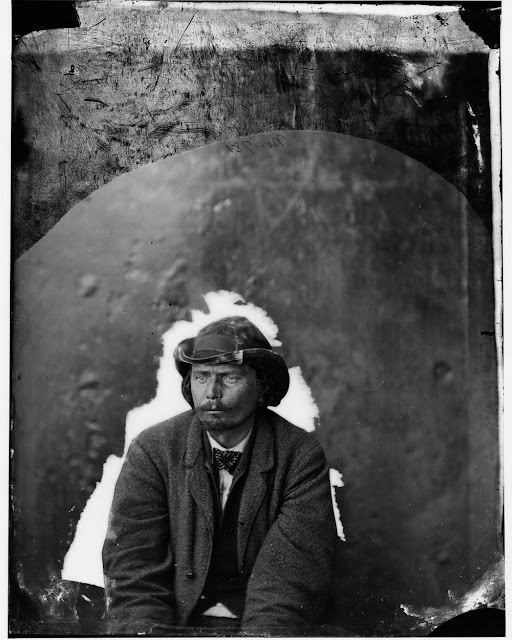 The bullet had entered through Lincoln’s left ear and lodged behind his right eye. He was paralyzed and barely breathing. He was carried across Tenth Street, to a boarding-house opposite the theater, but the doctors' best efforts failed. 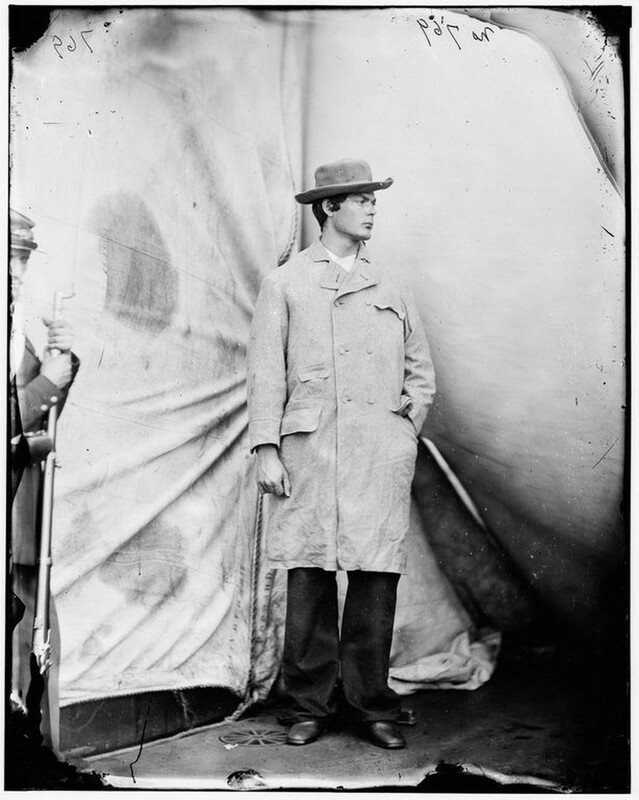 Nine hours later, at 7:22 AM on April 15th, Lincoln died. At almost the same moment Booth fired the fatal shot, his accomplice, Lewis Paine, attacked Lincoln’s Secretary of State, William Henry Seward. 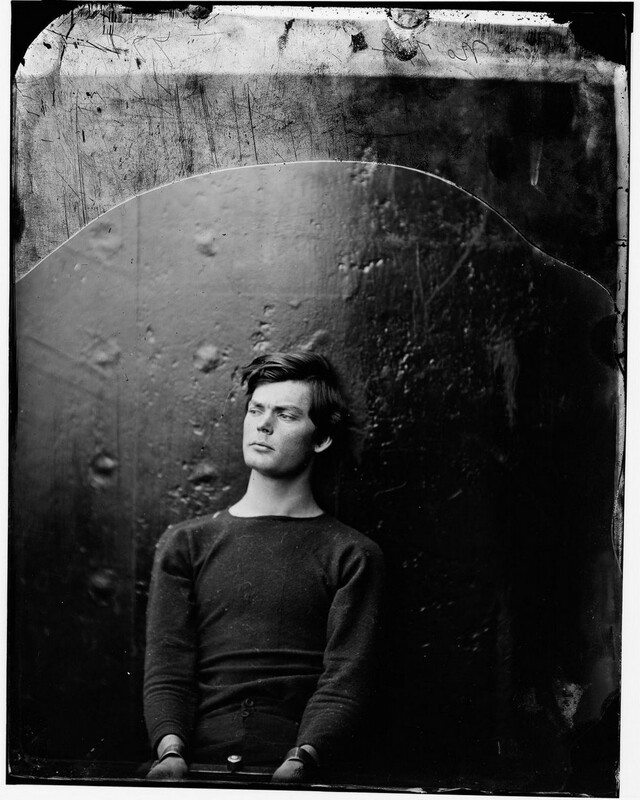 Seward lay in bed, recovering from a carriage accident. 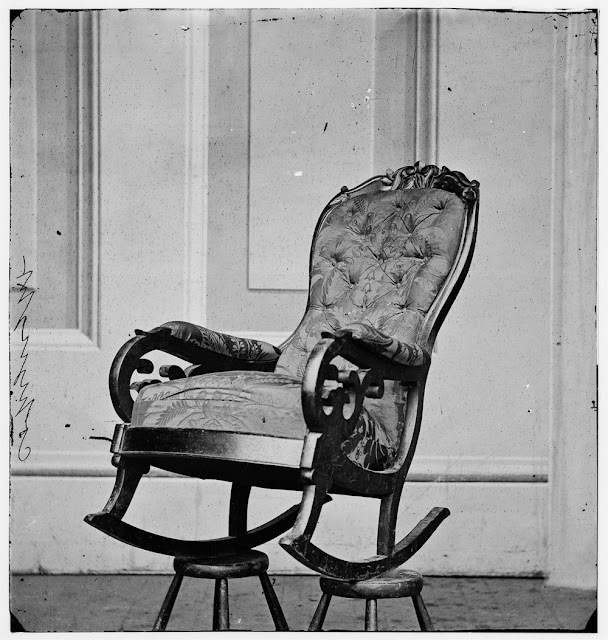 Paine entered the mansion, claiming to have a delivery of medicine from the Secretary’s doctor. 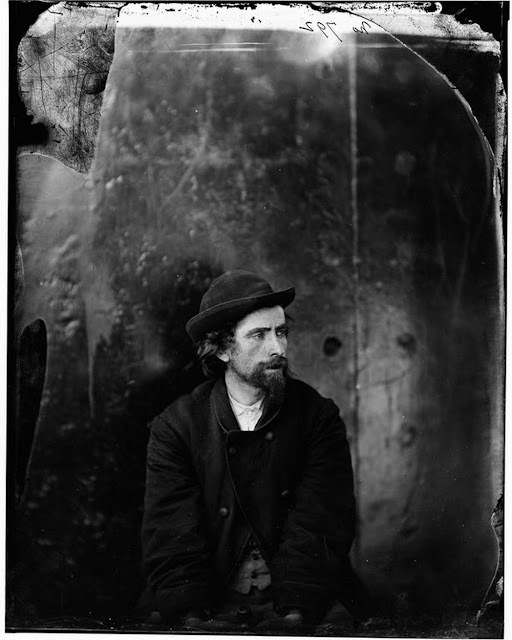 Seward’s son, Frederick, was brutally beaten while trying to keep Paine from his father’s door. 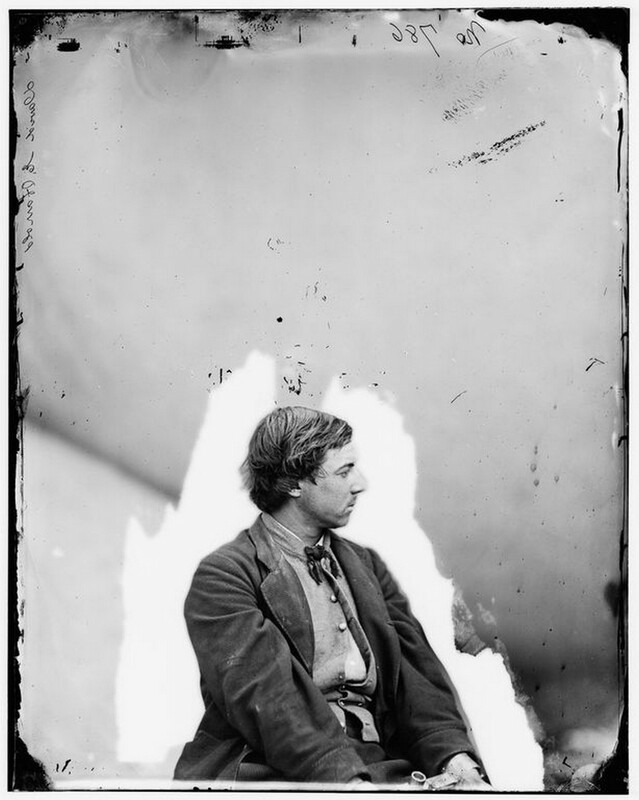 Paine slashed the Secretary’s throat twice, then fought his way past Seward’s son Augustus, an attending hospital corps veteran, and a State Department messenger. Paine escaped into the night, believing his deed complete. 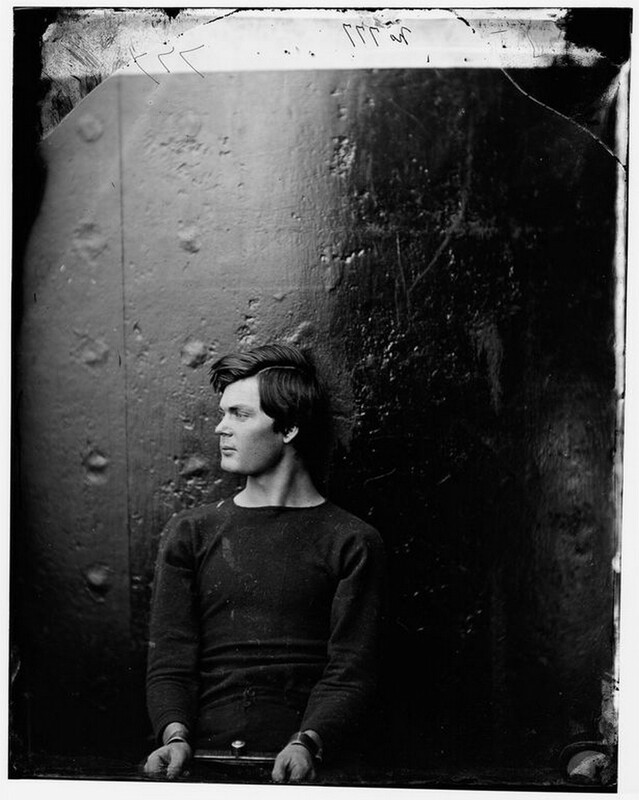 However, a metal surgical collar saved Seward from certain death. 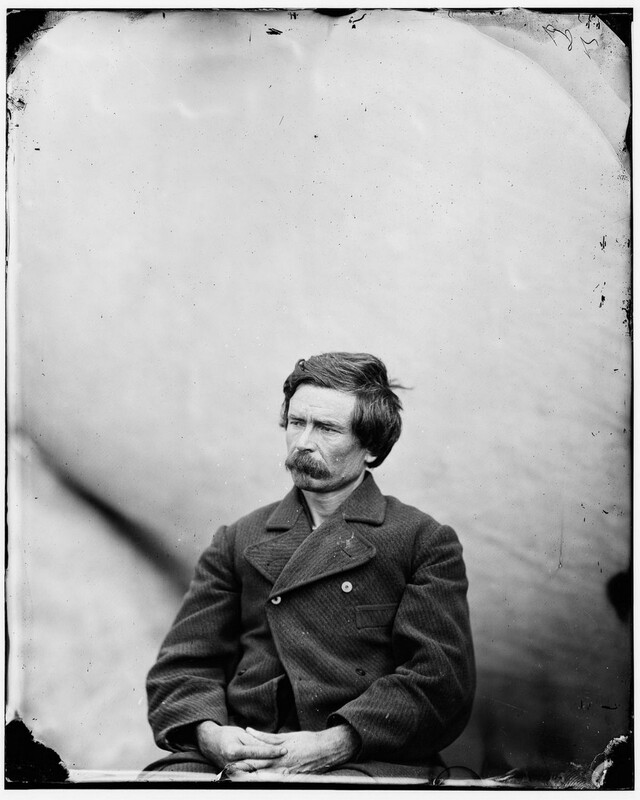 The Secretary lived another seven years, during which he retained his seat with the Johnson administration, and purchased Alaska from Russia in 1867. Lewis Powell, also known as Lewis Payne, who attempted to assassinate Secretary of State William Seward. Poweell met Booth and was recruited into an unsuccessful plot to kidnap Lincoln. 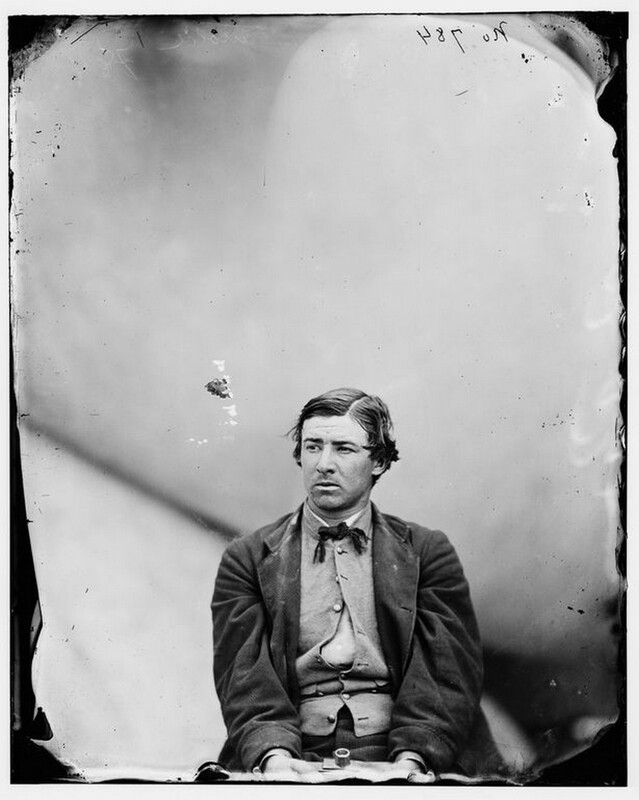 Powell was a Confederate soldier wounded at Gettysburg. 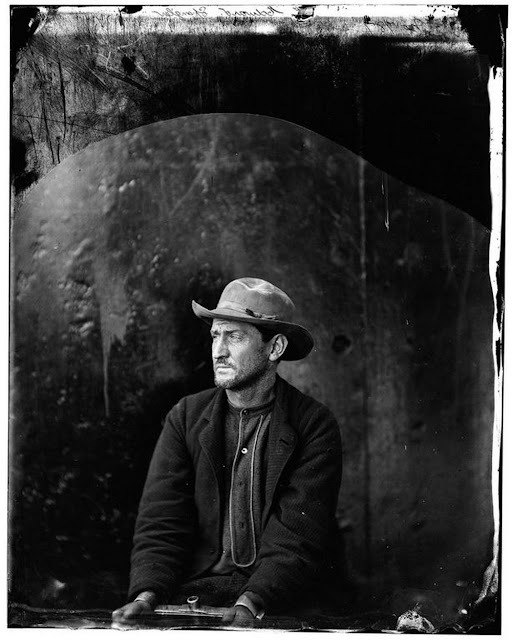 He later served in Mosby's Rangers before working with the Confederate Secret Service in Maryland. 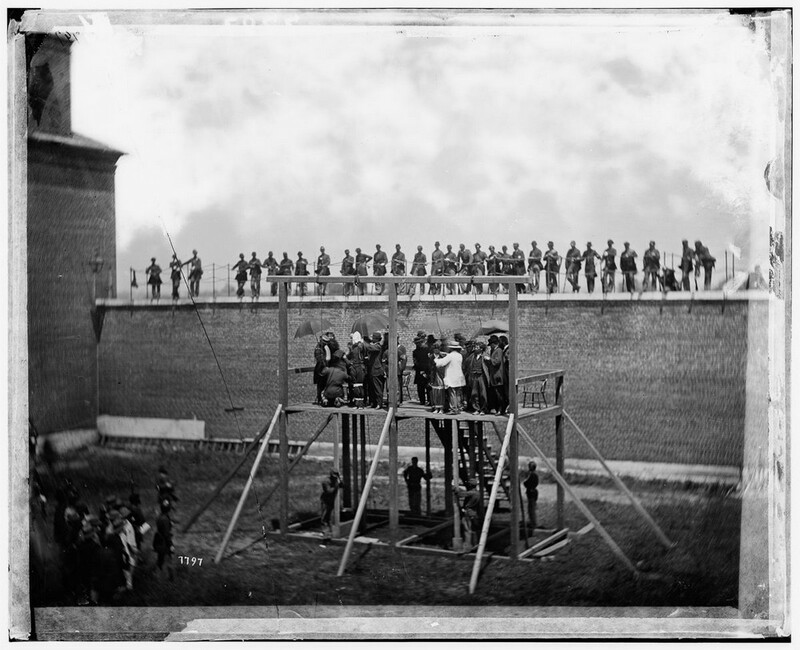 Powell and three others, including Mary Surratt, were sentenced to death by a military tribunal and were executed at the Washington Arsenal. 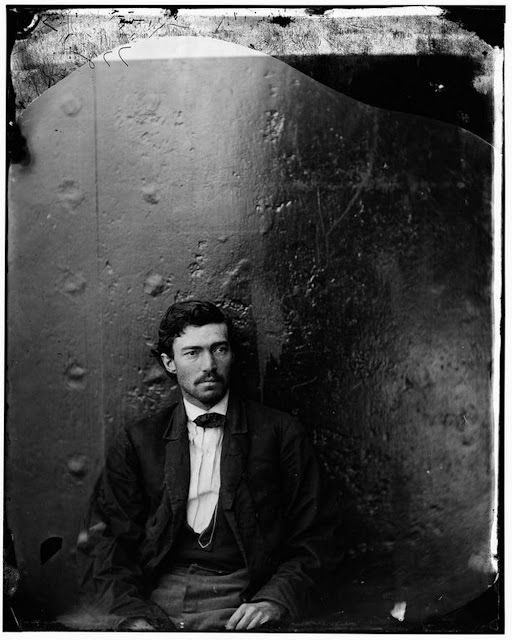 Samuel Arnold, an old friend of Booth, was not in Washington at the time of the assassination but was tied to the original kidnapping plot. 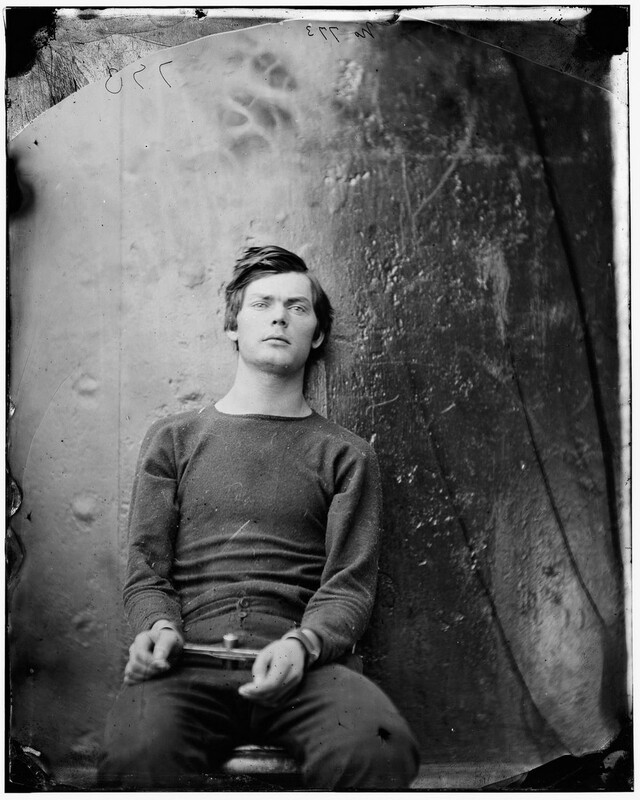 Arnold was sentenced to life in prison but pardoned by President Andrew Johnson. 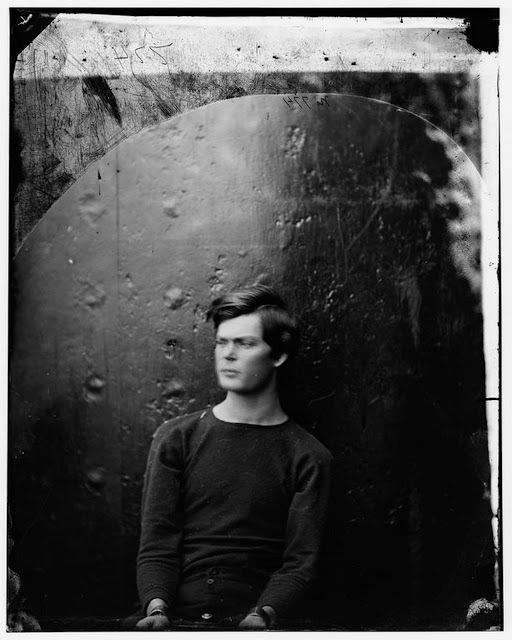 He lived until 1906. 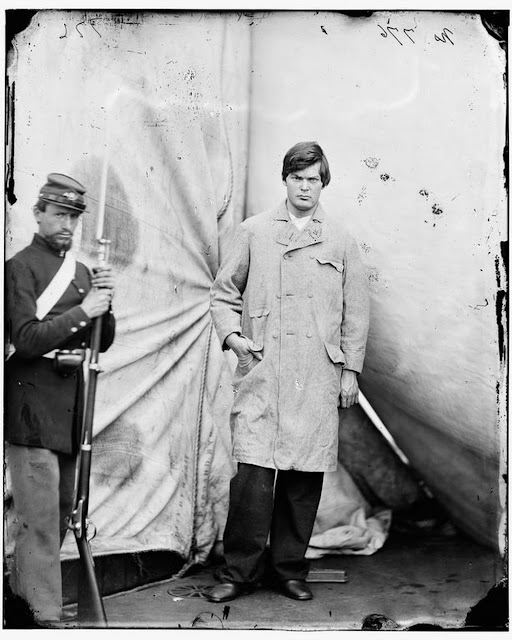 George Azterodt, who was recruited into the conspiracy to kill Vice President Andrew Johnson, but backed out and spent the night drinking in a hotel bar. He was hanged in July 1865. Michael O'Laughlen, an ex-Confederate soldier and childhood friend of Booth. Though his role in the conspiracy is unclear, he was sentenced to life in prison and died in 1867. 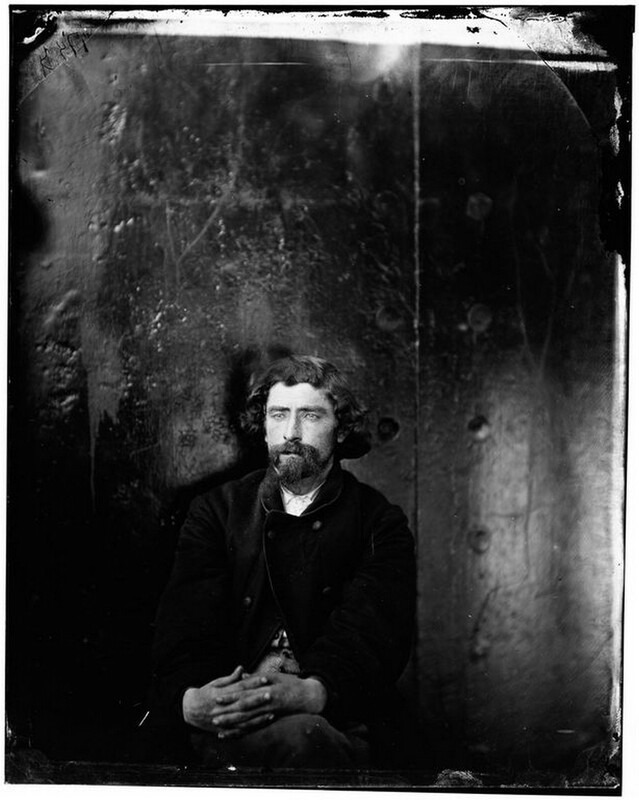 Edmund Spangler, a stagehand at Ford's Theatre, aided Booth on the night of the assassination and was sentenced to six years in prison. 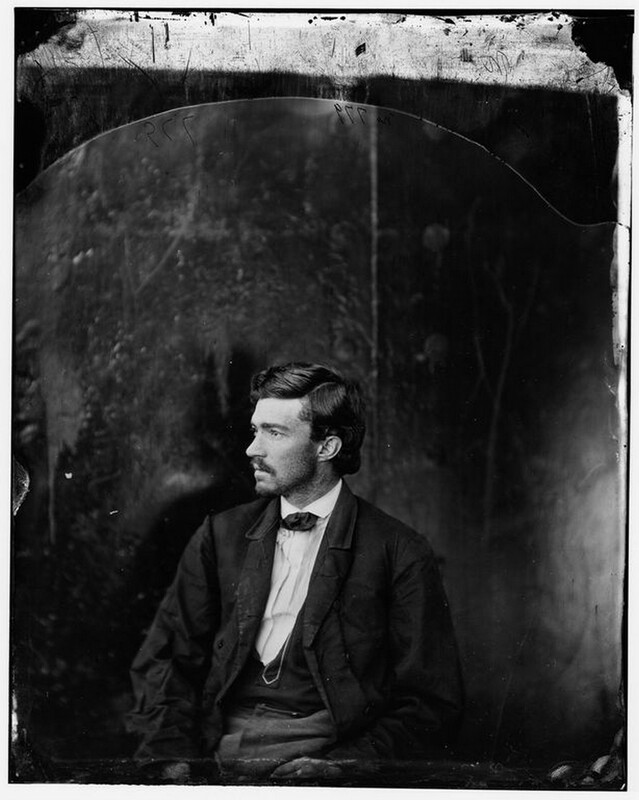 Spangler was pardoned by President Andrew Johnson in 1869 and died in 1875. 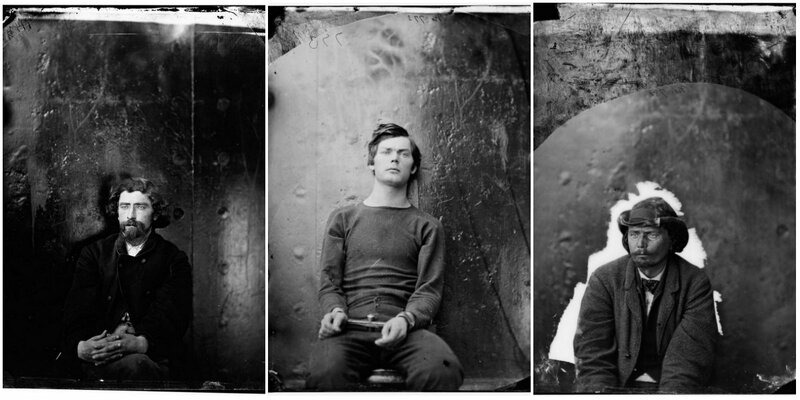 A man (name undisclosed) arrested on suspicion of being a conspirator. 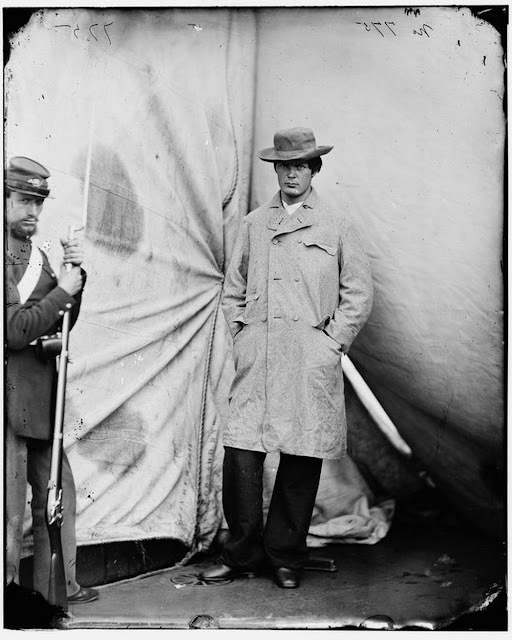 Lewis Powell poses in a coat and hat while under guard. 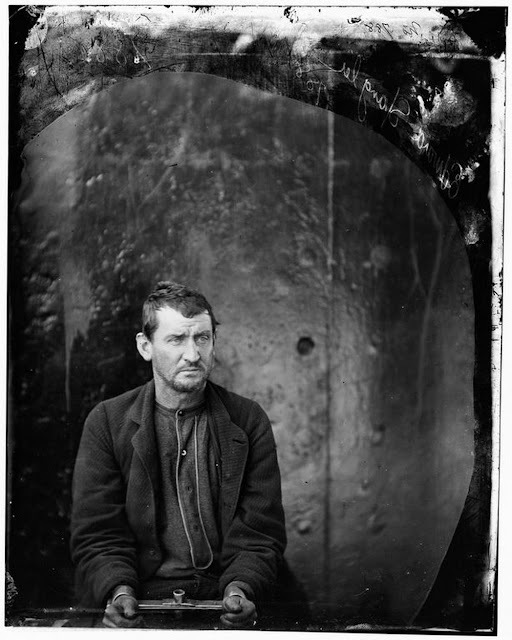 David Herold, a pharmacy clerk who led Booth on his escape through Virginia. Herold surrendered at the Garrett farm and was hanged in July 1865. Conspirators Mary Surratt, Lewis Powell, David Herold and George Atzerodt are placed in nooses at the Washington Arsenal. July 7, 1865. The rocking chair used by President Lincoln at Ford's Theatre.